Arizona State won its own ASU Thunderbird Invitational on Saturday, claiming its fourth victory of the season and its third consecutive. That’s a good sign for the Sun Devils, the No. 2-ranked team in the country, as postseason approaches. This is the third straight year the Sun Devils have won the tournament and the first at their new home at Papago Golf Course in Phoenix. Chun An Yu also won the individual medal for ASU and is the first to do so since Jon Rahm in 2016. Rahm, of course, is now a PGA Tour player, chasing the leaders at the Masters this week. The Sun Devils, with their 20-under total, scored notable head-to-head victories on No. 7 Texas (second) and top-ranked Oklahoma State (fourth). The Cowboys, however, are without Viktor Hovland, who is playing in the Masters, too, as the reigning U.S. Amateur champion. Arizona State had a 12-shot cushion on Texas after three under-par rounds. UCLA finished third despite being without Devon Bling, who was runner-up at the U.S. Amateur and also scored a Masters invitation. It is the third tournament victory as a Sun Devil for Yu and his first at the Thunderbird after two previous top-10 finishes at the event. He separated himself by shooting 11-under on par 4's, five strokes better than anyone else. Texas freshman Cole Hammer finished the event with back-to-back rounds of 67 and was runner-up at 8 under. Oklahoma State’s Matthew Wolff was also in the mix until a final-round 74 dropped him to a share of 11th. He finished the week at 2 under. 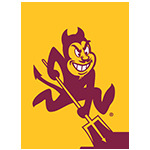 54 hole men's college tournament hosted by Arizona State University. Team (best four scores out of five players each round) and individual competitions.